How RESULTS.COM used marketing automation and Salesforce Integration as a tool to Increase Leads by 288%? Home > Blog > Blog > How RESULTS.COM used marketing automation and Salesforce Integration as a tool to Increase Leads by 288%? What you will get in this Case Study? RESULTS.com was started in 1996 as a consultant company having expertise in Business Execution for mid-sized businesses. They help businesses in creating strategies, setting goals, and drive higher performance by achieving the goal. In 2010, RESULTS.com developed their Business Execution Software to help business owners track their marketing strategic objectives and key metrics, assign accountability, and make sure people are accomplishing their tasks. The business owner now can see what everyone is working on, how people are performing, and where to focus attention so they can achieve their goals faster. RESULTS.com has evolved from a consulting firm that uses software to support the consulting, into a software company that uses consulting to support the software. What was the Business Objective of RESULTS.com? Any company works to build a loyal customer base. So does Results.com also. The main motto of the company is to create a customer base with 100% customer satisfaction by offering excellent services. For achieving this, RESULTS.com used four diverse applications but the main problem in whole process was that all these four applications were not integrated with each other. Their website, SEO tools, webinar platform and CRM all were different and there was no provision to interact these applications with each other. To change the picture,the company did a lot but was not supportive for the exact result. SEO experts of RESULTS.com had created 50 micro-sites for the company, but that was also unsuccessful. Now the team was clear that they wanted analytics software which could help them in the analysis of their business and gaining more customers. Their motto was to expand business globally. So what strategies RESULTS.com adopted? Firstly working over detailed analysis of varioussoftwares and learning inbound marketing through webinar,Sebastain Cadenas, the marketing head of the company decided to go for HubSpot as this was the software which they were looking for. They decided to implement HubSpot software along with the inbound marketing tactics. Now integration of all the applications which was earlier used separately was made easy and they could easily integrate their CRM, website, SEO tools and webinar platform. HubSpot saved a lot of time and helped RESULTS.com to focus on more important and core areas of business. While using HubSpot software, the company witnessed weightyvariations in the web traffic. HubSpot software’s SEO tools helped them in finding and tracking most effective keywords, inbound links, page performance, etc. and now, it was much easier for the whole team to identify poorly ranking webpages and update it accordingly. 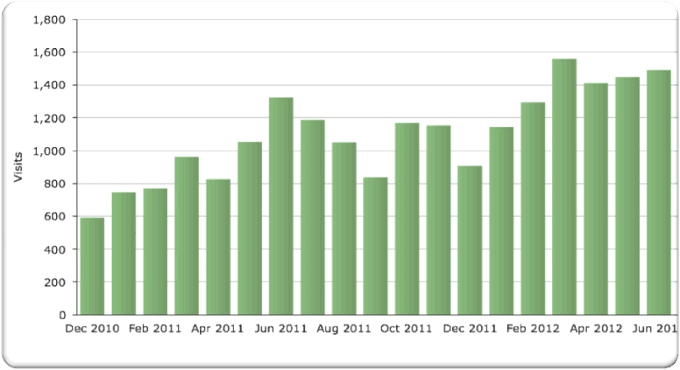 As a result, from December 2010, their organic search visits amplified by 133%, which was the big figure for RESULTS.com. Soon RESULTS.com decided to use inbound marketing strategies in their business to attract leads. They focused on creating great blogs to develop an effective inbound marketing strategy. The purpose behind writing blogs was to attract more people and generate lead by sharing great and valuable content with them. Creating posts throughHubSpot blogging tool was much easier than ever. SEO tips from the HubSpot helped them to design the blog in such a way that they could maintain SEO ranking as well as leads. They started sharing posts through all the social media platforms. 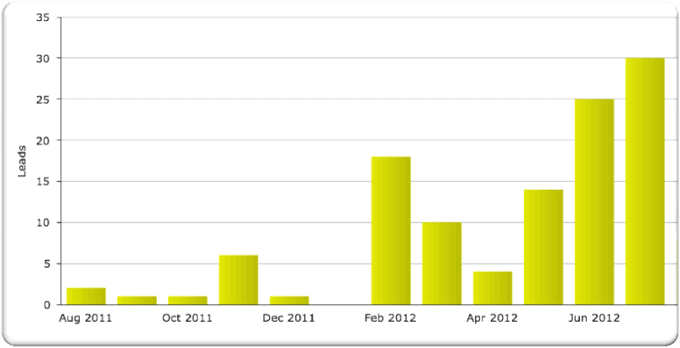 Other than that, using the HubSpotsoftware ensured them in tracking the performance of their blog. They could easily analyze the blog to check which posts generated more traffic, leads and the end customers. Thus they started blogging twice in a week. Blogging was the instant success key for RESULTS.com. Currently they have more than 20,000 subscribers to their blogs. Using blogging was the key factor for developing Inbound marketing strategy for RESULTS.com. Another option which HubSpot made use of was Lead generation tool, which easily converted the website visitors towards sales funnel of RESULTS.com. All these leads data which was generated with HubSpot was integrated with salesforce.com account. As HubSpot and Salesforce has integrated all the process quite well with each other so it was very much easy for RESULTS.com to get and analyze all the data and accordingly plan for further action. As a result, within a few years leads were increased by 288% and leads from referrals were increased by 200%. Another tremendous tool that majorly changed RESULTS.com was use of emails in their business strategy to cherish the leads. Lead Nurturing and Marketing Automation Tools of HubSpot allowed RESULTS.com to create targeted content for their leads. Using the Workflowsapp they could send personalized messages to the leads on the basis of their behavior. It helped them to build trust between people and long term relations with customers. After implementing these inbound marketing strategic changes RESULTS.com emerged as experts in the business execution field. After implementing HubSpot software and Inbound marketing tactics within a short span of time, RESULTS.com observed significant changes in their ROI.Their website traffic was increased by 180%. Their organic traffic grew by 133%.They got more than 20000 blog subscriber within a short span.The Leads were increased by 288% and leads from referrers were increased by 200%. Inbound marketing helped RESULTS.com to emerge as an expert in business execution field.And the last but very important achievement of RESULTS.com was in these few years, it was completely converted into a software company from the consulting firm.